The absence of big-dollar Democratic donor Mikal Watts is starting to draw notice. 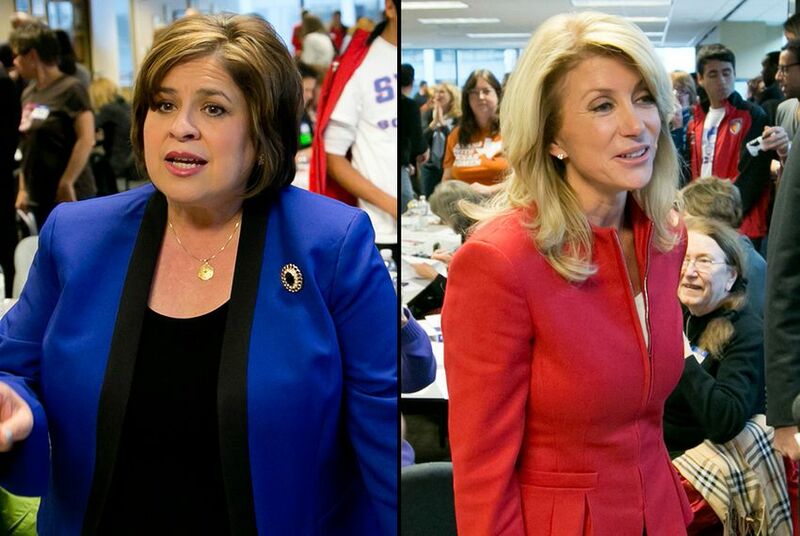 The San Antonio trial lawyer has given no money to either Wendy Davis or Leticia Van de Putte, the women at the top of the Democratic ticket, this cycle. And, as the San Antonio Express-News' Gilbert Garcia writes, that's by design. The problem for all concerned is a potential indictment against Watts stemming from a federal investigation of his connections with a class-action suit filed after the 2010 BP oil well spill. The result has been this message from the Davis and Van de Putte campaigns to Watts — steer clear of any San Antonio events. "They don't want Watts hosting any fundraisers, they don't want him to be closely affiliated with the hosts, and — much as they could use the money — they don't want him cutting any big checks that Republicans can use for political sport," Garcia wrote. The sidelining of Watts is significant. Garcia wrote that the attorney has given more than $7 million to Democratic candidates and organizations. He last made headlines in November when he hosted a fundraiser benefiting a possible Hillary Clinton presidential run. It raised more than $100,000. • Lt. Gov. David Dewhurst will give the keynote address at the 48th Annual Texas Legislative Conference in New Braunfels. The opening address will be given by former Texas Supreme Court Chief Justice Wallace Jefferson, the recipient of the conference's 2014 Texan of the Year award. • Dewhurst and Gov. Rick Perry are scheduled to speak Saturday morning at the unveiling ceremony for the Vietnam Veterans Monument at the Texas Capitol. The event is scheduled for 10 a.m. with the two men set to speak during the ceremony. Abbott, Davis Oil and Gas Records Show Contrast: "Neither Greg Abbott nor Wendy Davis has spent much time talking about the energy industry and regulations. But Texans should have little trouble distinguishing their positions." Medicaid Fraud Settlement Worries Health Providers: "For providers who treat the state’s poorest patients, a settlement between the state and a Medicaid provider raises questions about how the state distinguishes fraudulent intent from human error." A Big Idea, With a Big Price Tag: "Texas voters don't like property taxes, and Republican Glenn Hegar has said he favors eliminating them. His opponent in the comptroller's race, Mike Collier, is talking up the likely result: a huge increase in sales tax." Editor's note: An earlier version of this story incorrectly listed the date for the unveiling ceremony of the Vietnam Veterans Monument. Gov. Rick Perry's participation was added as well.